PetSmart Charities has teamed up with actor Josh Duhamel to launch the “High-Five for Pet Adoption” campaign celebrating the 5 million pets’ lives that have been saved through PetSmart Charities’ Adoption Centers. The campaign aims to increase public awareness about the importance of pet adoption to save millions more pets that still need lifelong, loving homes. 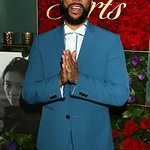 PetSmart Charities has achieved 5 million adoptions by saving on average 1,100 pets every day, or about 400,000 pets every year, since the organization was founded in 1994. Generally, one pet’s life is saved every minute that PetSmart Charities’ Adoption Centers are open. These adoption centers are located inside PetSmart stores throughout the U.S., Canada and Puerto Rico and help local non-profit groups make homeless pets available for adoption. A 5-year-old rescued husky named Dodge found his forever home – and was the 5 millionth pet adopted from a PetSmart Charities Adoption Center at the PetSmart store in Boynton Beach, Fla. George Little, a retired U.S. Marine and “Husky aficionado,” and his family immediately fell in love with Dodge and are enjoying their newest family member today. While 5 million lives saved is an important victory, there are still millions more pets that need homes. This year, about 8 million pets will end up in shelters in North America. Half of these pets – or about 11,000 adoptable pets every day – will be euthanized. 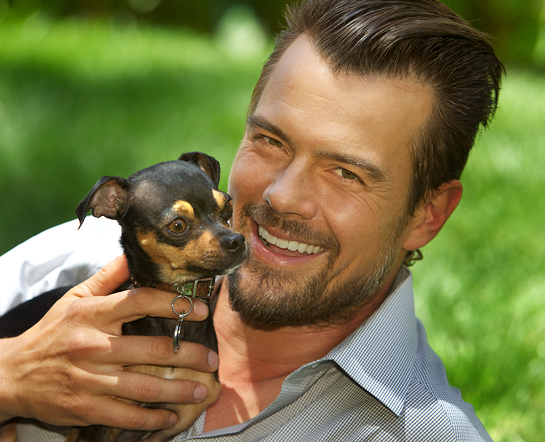 Duhamel, an advocate for pet adoption, joins PetSmart Charities as the spokesperson for the “High-Five for Pet Adoption” campaign in order to help raise awareness of the homeless pet problem and the important role that adoption plays in saving lives. PetSmart Charities and its more than 2,000 animal rescue partners rely on the generosity of public donations to fund life-saving adoption programs. During the “High-Five for Pet Adoption” campaign, PetSmart Charities aims to raise $250,000 which will help save 10,000 homeless pets. Text PETS to 80888 or visit www.petsmartcharities.org/donate to give $5 to help save the lives of millions more homeless pets. For nearly 20 years, PetSmart Charities has inspired, supported and created programs and ideas that save the lives of homeless pets. Learn more about PetSmart Charities’ adoption programs by visiting www.petsmartcharities.org/adoption, and follow PetSmart Charities’ pet-saving endeavors through Facebook and Twitter.